Currently, we do not offer the ability to undo an import. However, there are two ways to locate recently imported records and remove them from your account. If you applied a tag upon import, you can locate the tag by going to your "Contacts tab" and selecting the tag to the left. Your list of contacts will display and you can select everyone in this list then click the trashcan icon to delete them. Another way to delete recently imported contacts would be to perform a creation date based search using our Segmentation feature. Start by going to your "Contacts" tab then clicking in the search bar. Select "Add Filter" then choose "All Contact Filters" >> "System" and "Creation Date." 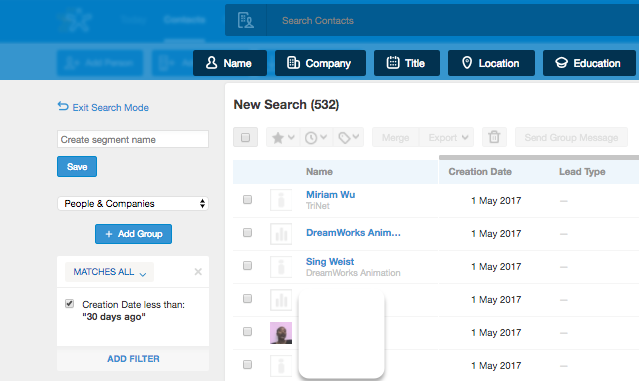 Choose your date range and Nimble will display a list of contacts imported within that time. 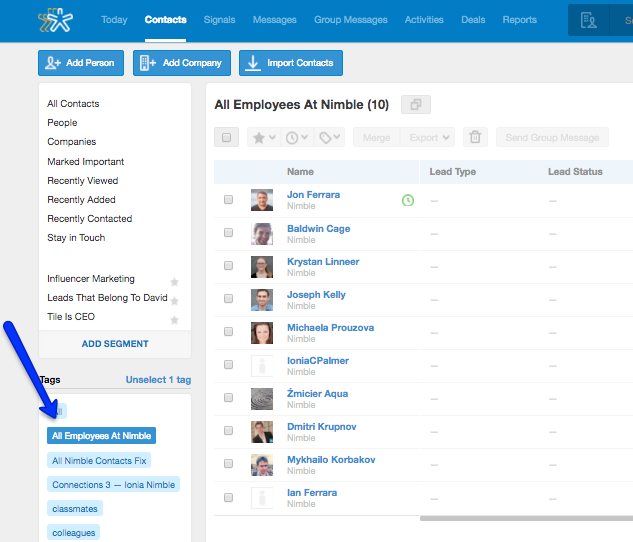 The steps to delete the contacts from Nimble will be the same as shown in the support article linked above - simply select all contacts in the group, and use the trash can icon to delete them! If you will not be restoring the contacts to your account later, be sure to also remove them from your Contacts Trash Bin - learn how here.